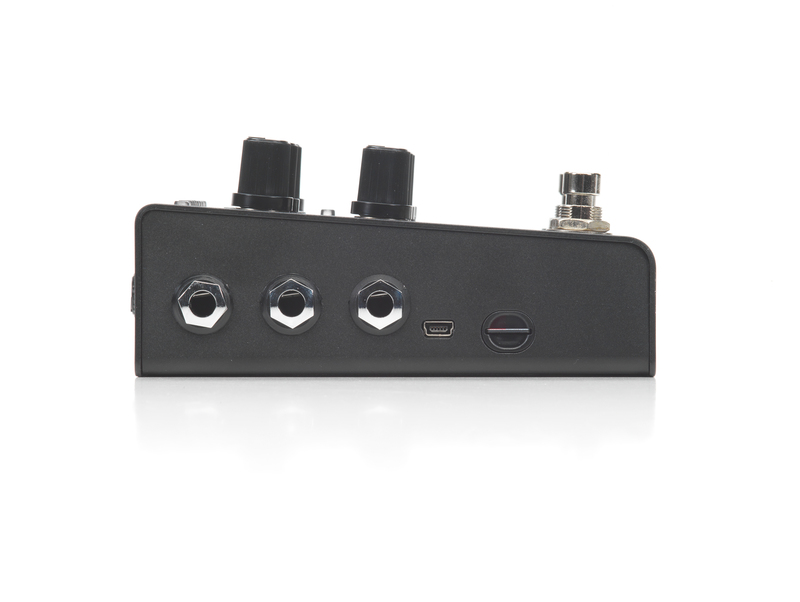 Amplifier, Mixer, FX Send and Headphone Outputs; Built-in Guitar Effects (relative to music genre); a Soft Click Footswitch and includes a 9V DC adapter. When I deleted my song, all my parts disappeared, what happened? If you want to modify a song, delete the sequence, not the song. You can then rearrange the sequence /add or change parts to the song. When you redo the sequence it will remain in the song location it was at before. 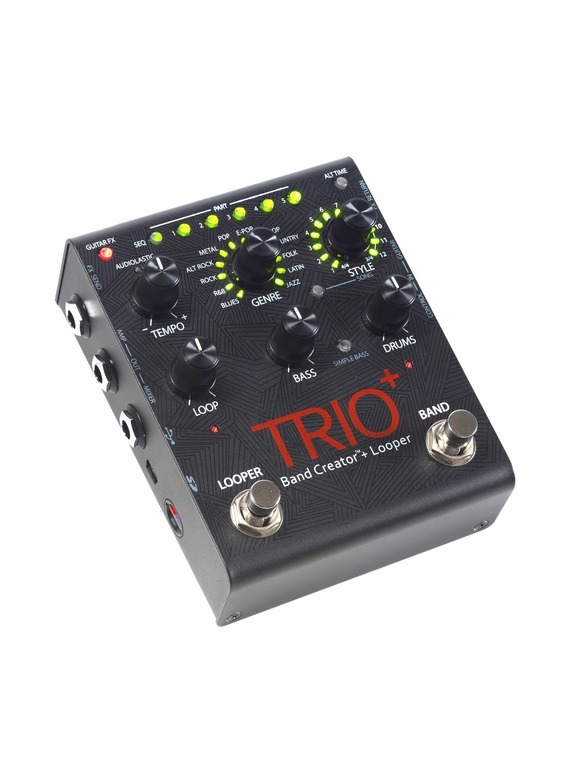 Will my TRIO+ work without a memory card installed? 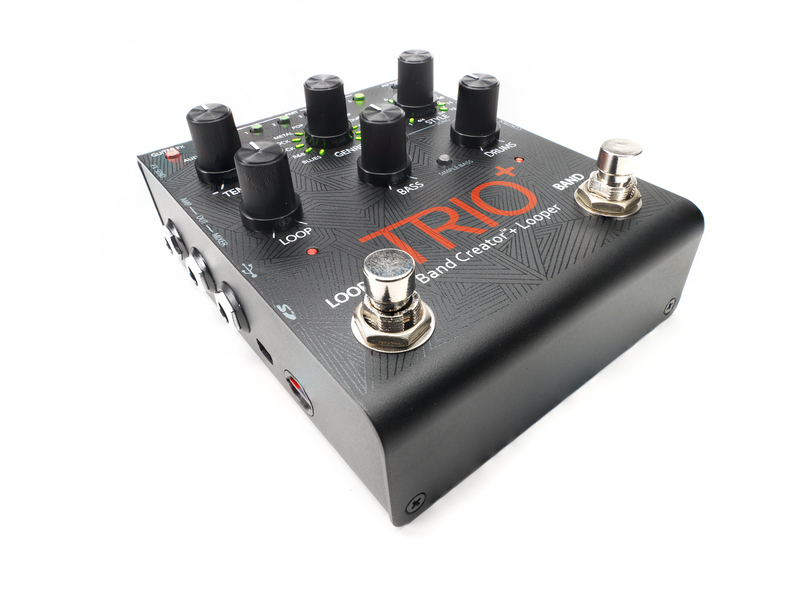 No,The TRIO + will not work without a SD card inserted. 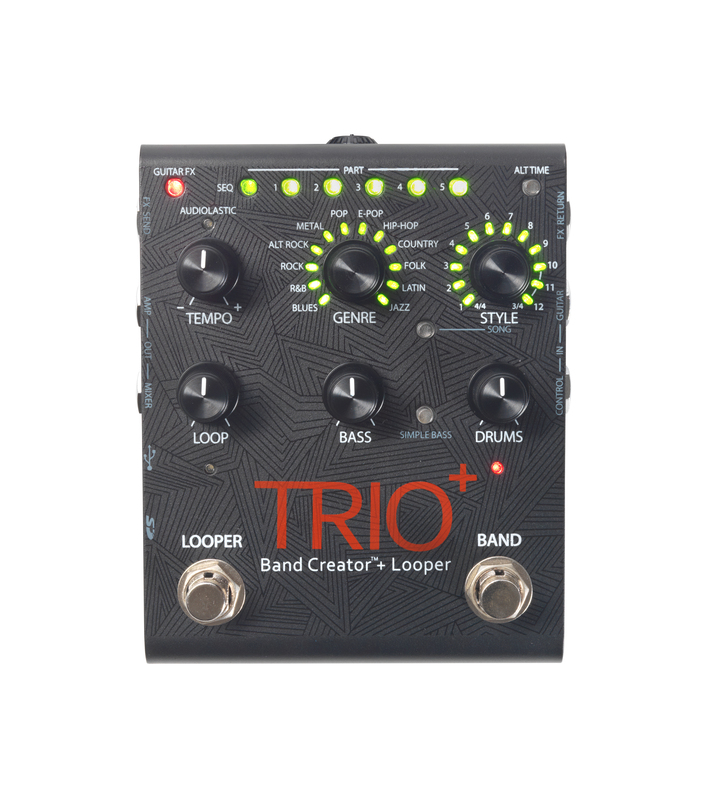 How do I reset the TRIO+? 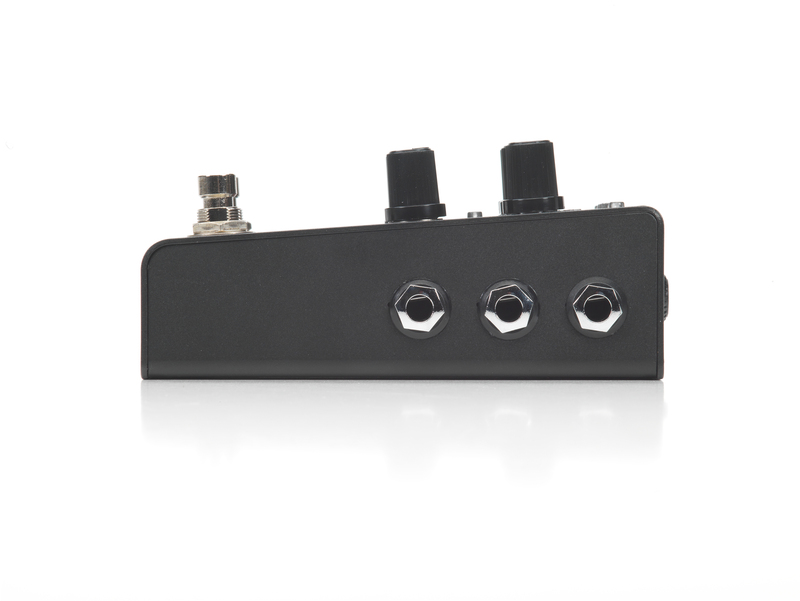 Press and hold the Guitar FX and Alt Time buttons at the same time, and apply power. 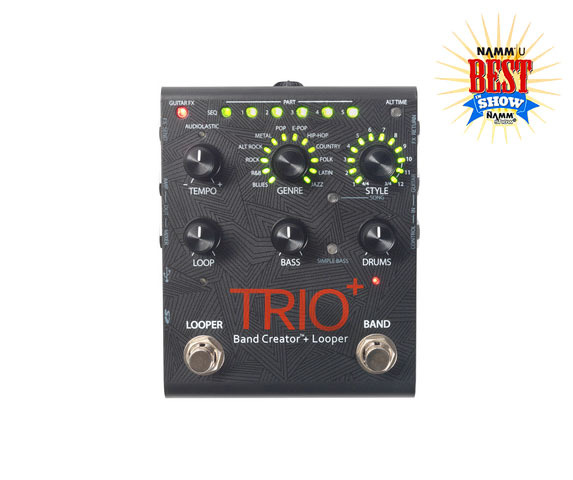 Hold the Guitar FX and Alt time buttons until the Style LEDs finish cycling all green, then release the buttons and repower the unit. How do I store songs in the order I want? When you sequence your first song it will automatically default to song #1. Subsequent songs can be stored in any other song location you select before starting the next song parts. After song 1 is completed, with the song button lit, choose the next location you want the next song to be saved in before going back into learning mode. The next sequenced song will be stored to that chosen location. Do I need a Micro SD Card reader to use the TRIO+ Manager application? Yes, you need to purchase a micro-SD card reader in order to use the TRIO+ Manager application. DOES THE TRIO + MANAGER STORE FILES TO YOUR COMPUTER? Yes, the TRIO+ files are stored to your computer, however they are not saved as audio files, so they cannot be exported to a DAW recording software. Will a larger SD card allow me to store more songs? No. Whether you use an 8 gigabyte card up to a 32 gigabyte card, you can only store up to 12 songs per card. 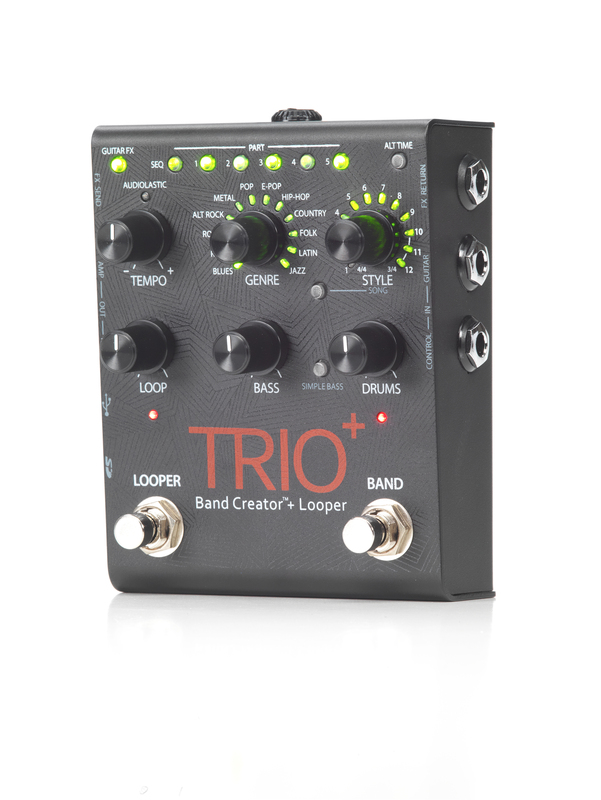 WHY WON'T MY TRIO+ GO INTO LEARN MODE? Make sure your guitar volume is turned up ALL the way. 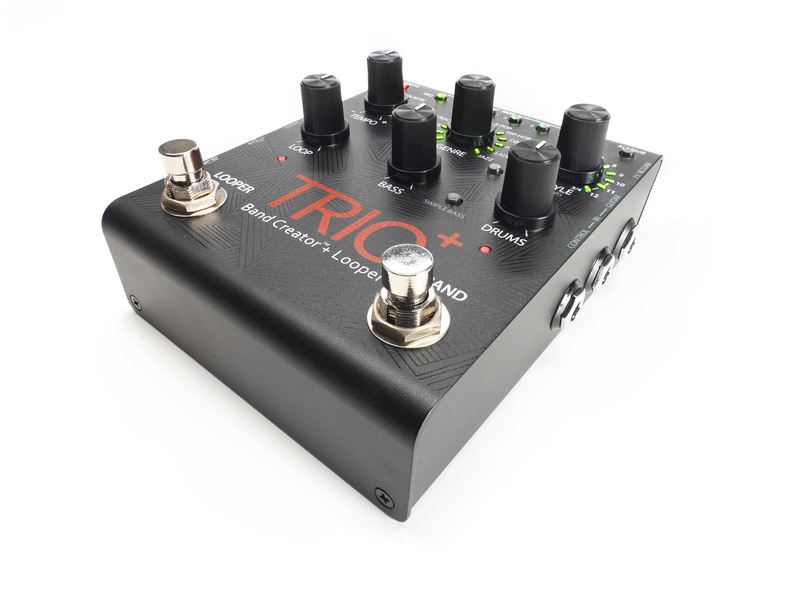 The TRIO+ requires a strong signal to trigger learning mode. 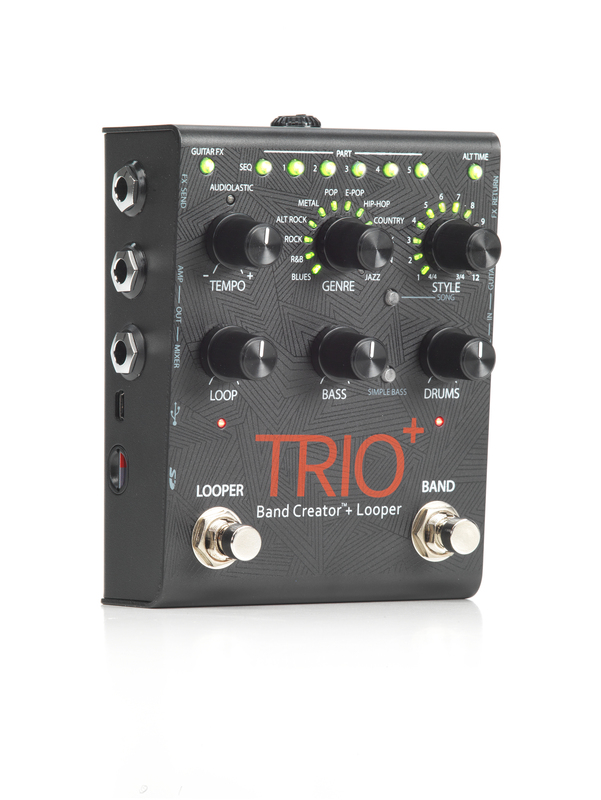 What kind of USB cable do I use with my TRIO+? When I plug in my TRIO+ all the part lights are flashing and nothing works, what's wrong? Make sure that the SD card is seated properly in the SD card slot. Will I get more memory using a 32 gigabyte SD card instead of an 8 gigabyte card? 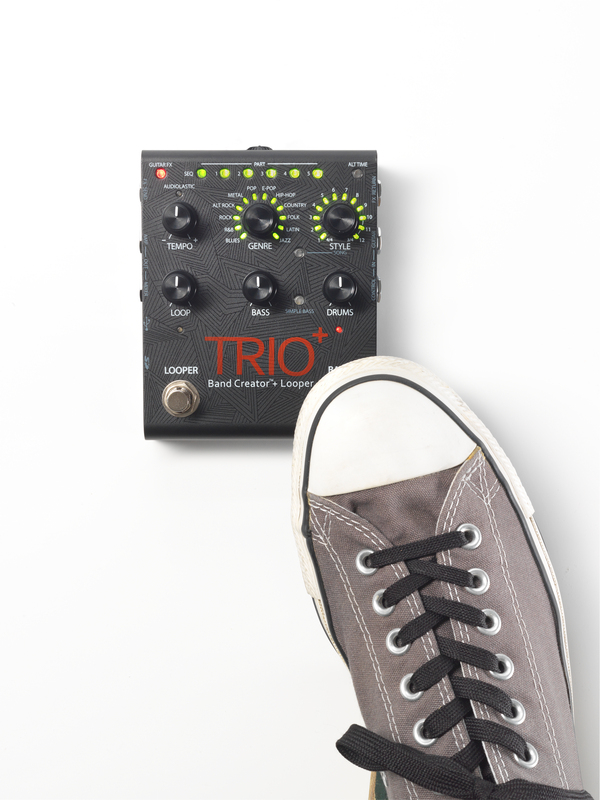 No, The pedal will recognize cards up to 32 gigabyte in size, but the 12 song memory allotment does not change.